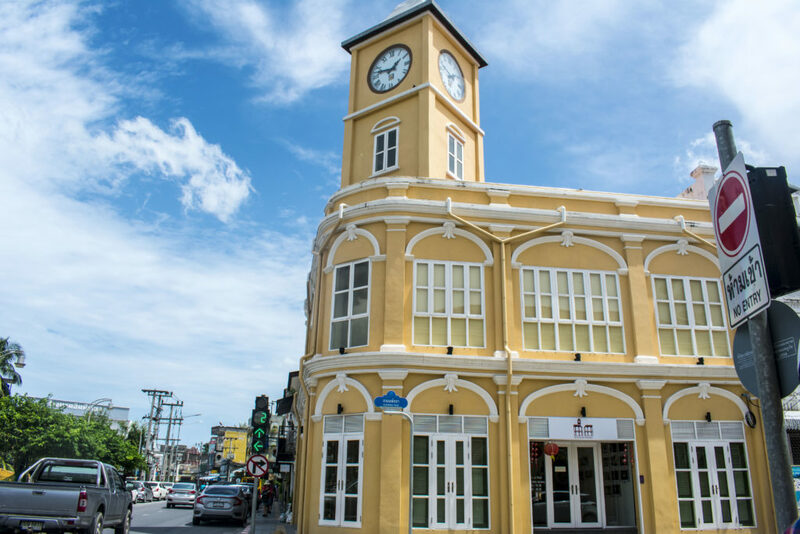 My family and I travelled to Phuket in August 2018 for a week vacation and I decided to share the places I visited and recommend to everyone when you ever come to visit Phuket! 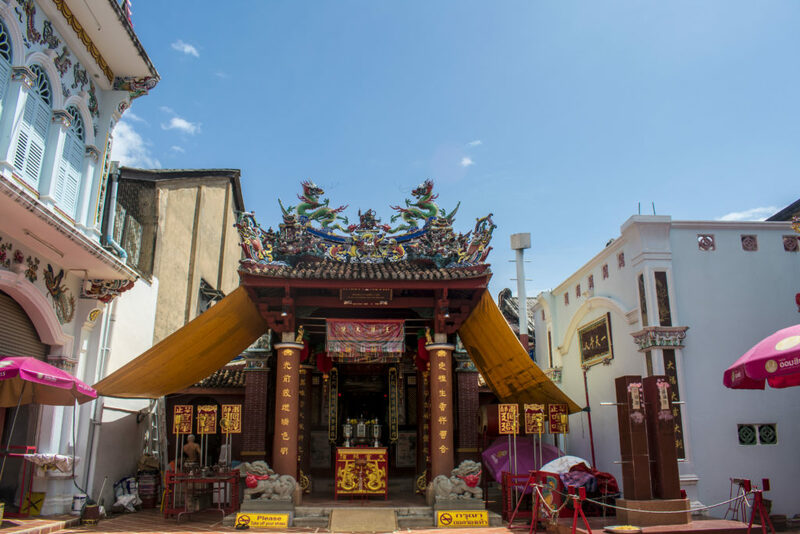 Shrine of the Serene Light is also known as the “Sang Tham Shrine“. 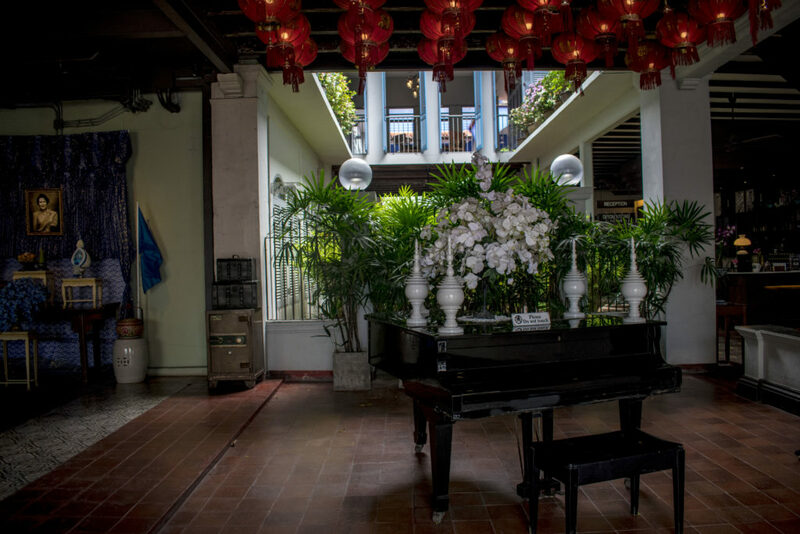 It is one of the finest secret sites in Phuket Old Town. The structure and patterns of the temple exterior looks unique. 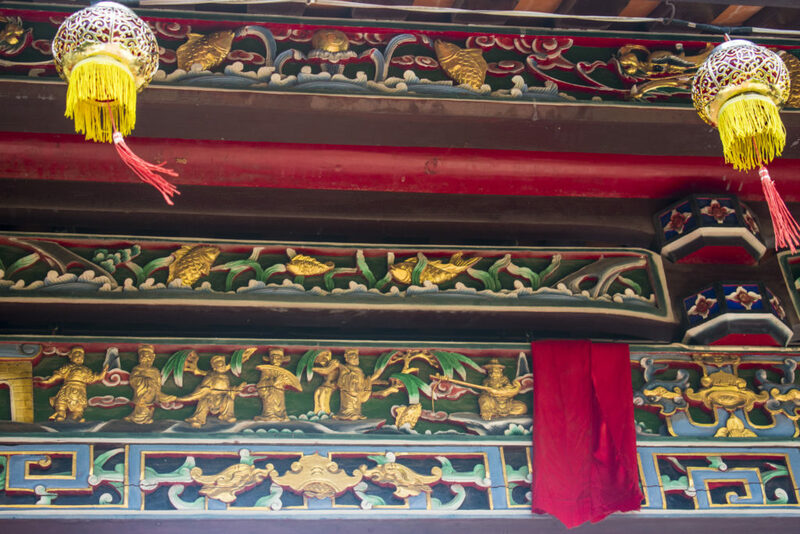 It is a place used to pray to the Chinese deities. 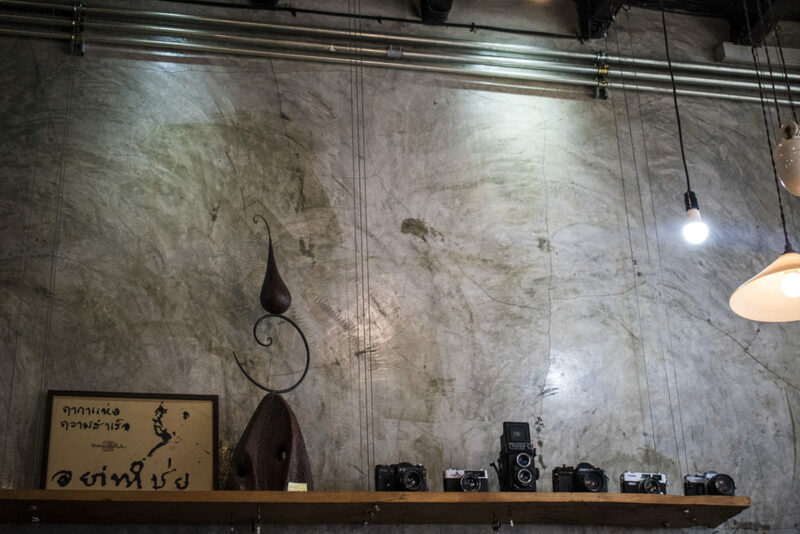 Although you are not allowed to take photos inside the Shrine, you can take pictures of the mural arts outside and around the area. 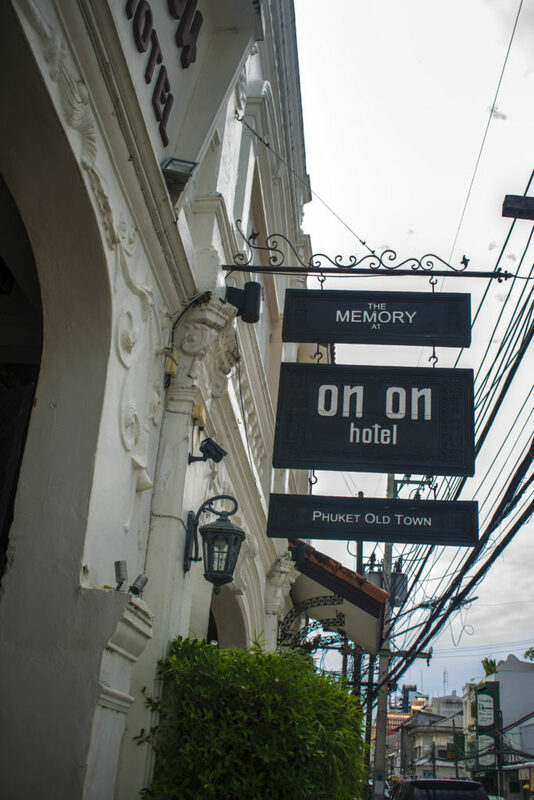 One of the famous hotels recommend to stay at Phuket. This hotel was used as a movie location site for one of Leonardo Di Carpio‘s movie, The Beach. 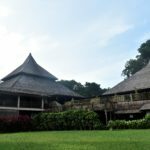 The hotel is surrounded with nature like plants and flowers and it is not entirely indoor filled with air conditioners. 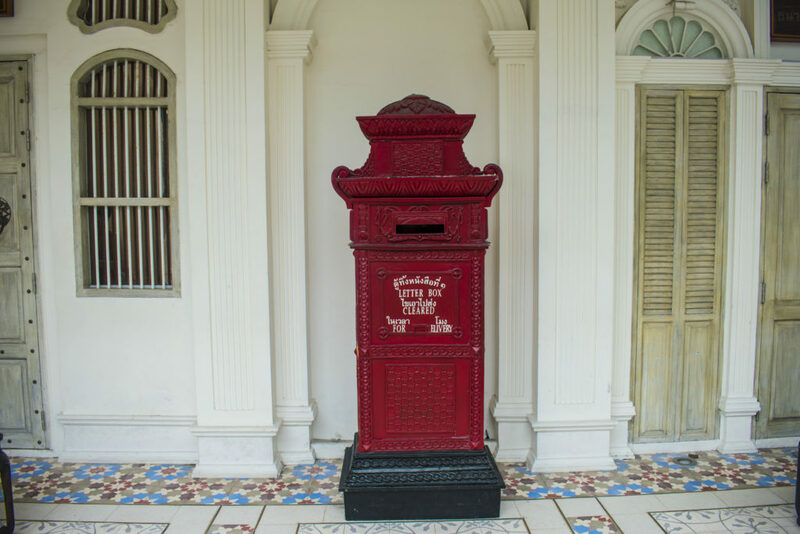 We also found a red postbox nearby the hotel that was used to sent letters in the olden days. I did not went inside to try their coffee, but I heard their coffee are still alright with reasonable price. But I took this photo because I love the bicycle were hung on the shop window and it gives an old vibe. 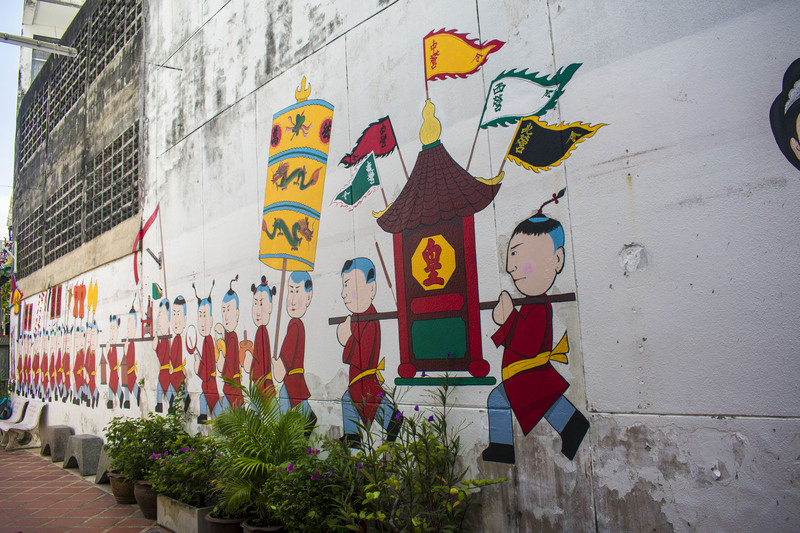 Don’t forget to visit the mural arts in Phuket Old Town! 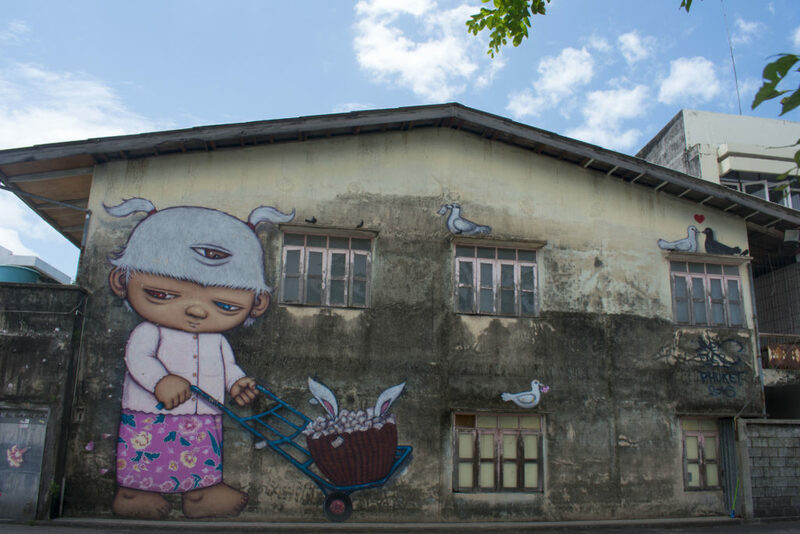 They are one of the tourist attractions in Phuket and are drawn by famous artists. 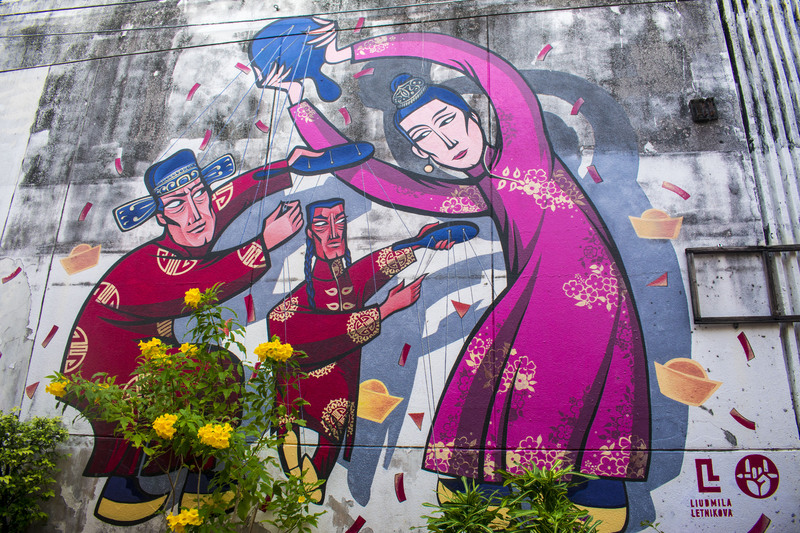 The first two mural arts were drawn by a well-known Thai artist, Alex Face. He is known to drawn a third eye in any of his paintings. He used a character he created called Mardi. This is called the Red Turtle Cake for Phor Tor festival. It is found in Romanee Road next to the bird painting. This is painted by Rakkit Kuanhavej. It is called the Desserts of Childhood. You can find this painting at Romanee Road. 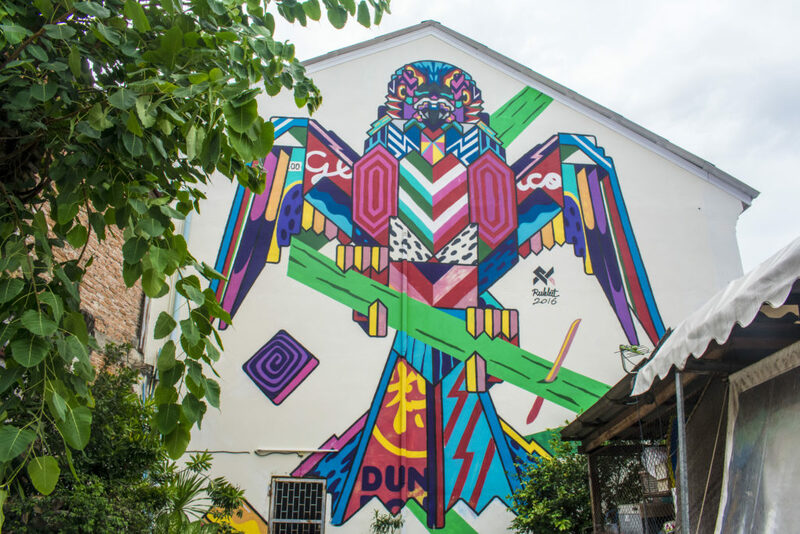 The artist wants to show the traditional Phuket Hokkien khanom or sweets as a form of treats they had during their childhood combined into a bird. 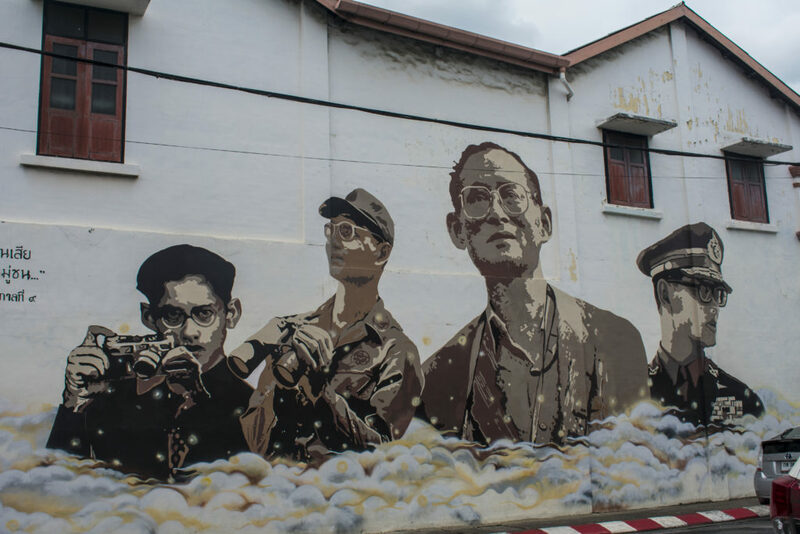 This painting is dedicated to the Remembrance of His Majesty King Bhumibol Adulyadej and painted by 4 Studio . 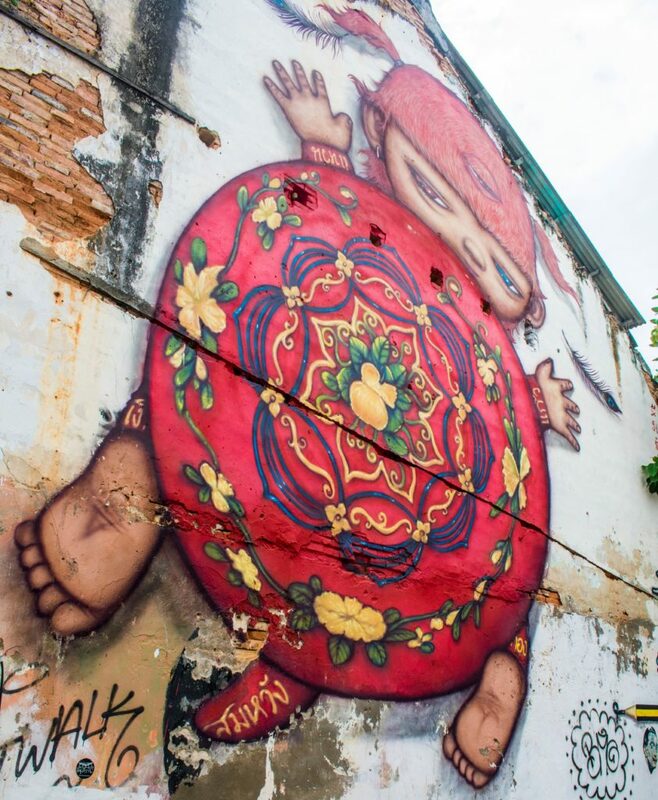 It is found at Dibuk Road (at the junction with Yaowarat Road). It shows different aspects of the King’s life. 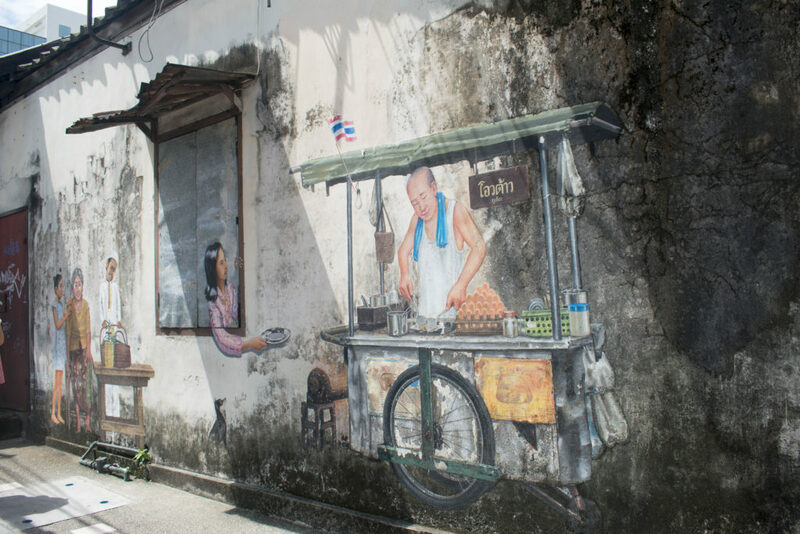 This painting is about the food trolley that can be seen around Phuket. 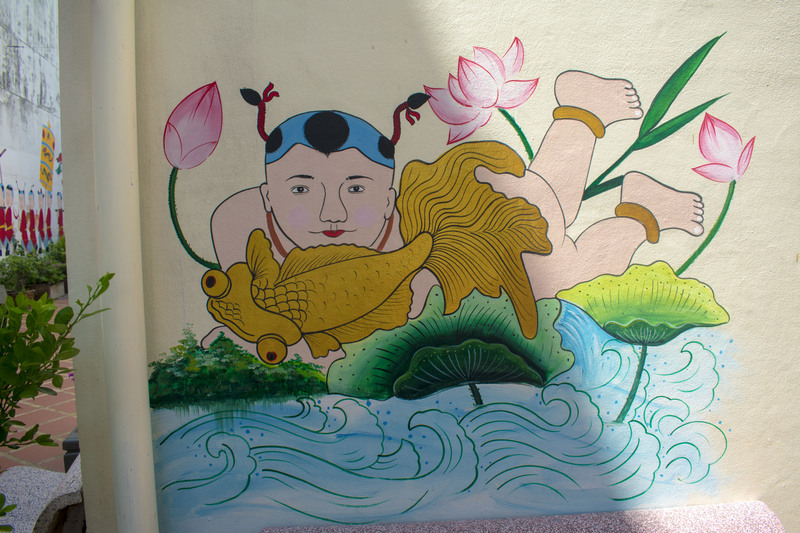 It is found at Phang Nga Road and painted by Phichit Paidaeng. 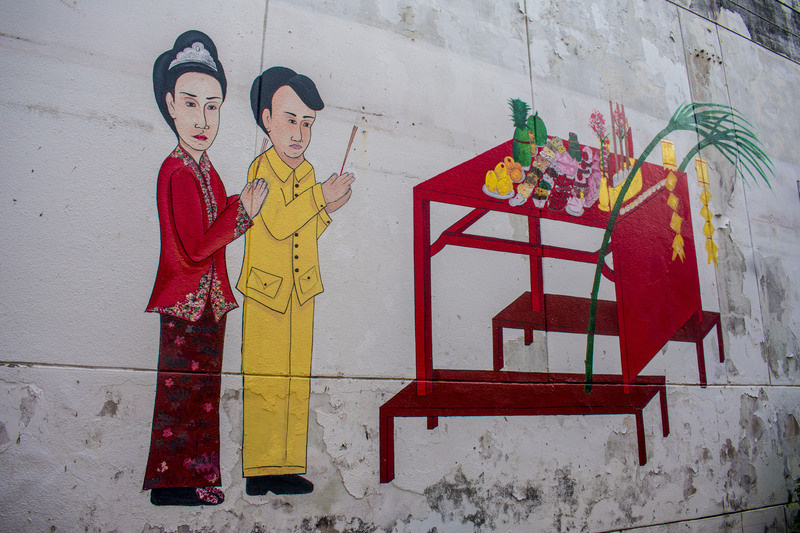 In the painting, it shows the seller is making a traditional Phuket dish, Oh Tao and a girl waiting for the Oh Tao to be serve. 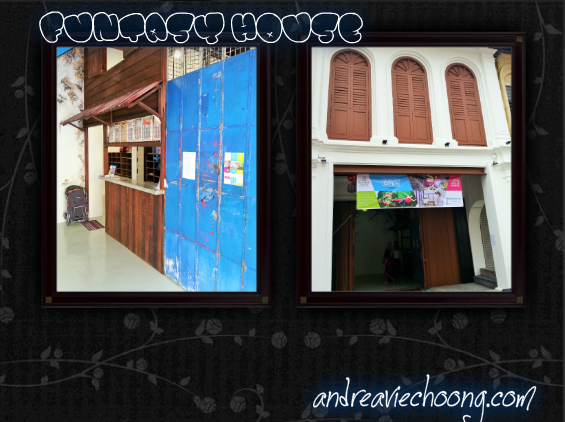 If you like to know more about the historical side of Phuket, I would recommend this museum. 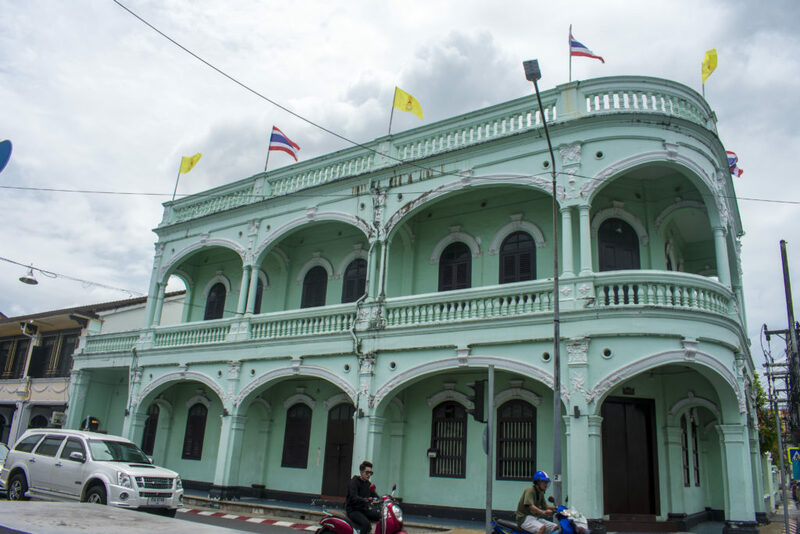 It is about the historical origins of Chinese migrants in Phuket. 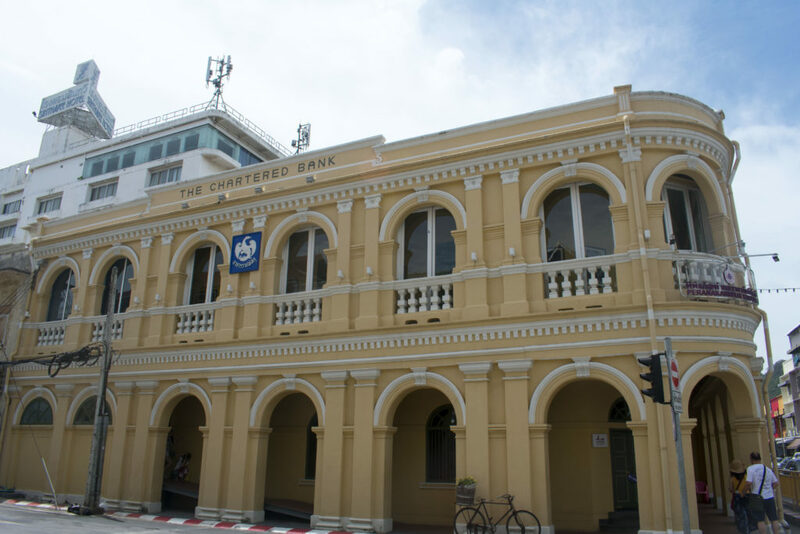 It is located at Krabi Road. The entrance fee is included. 50 Baht for Thais and 200 Baht for foreigners. 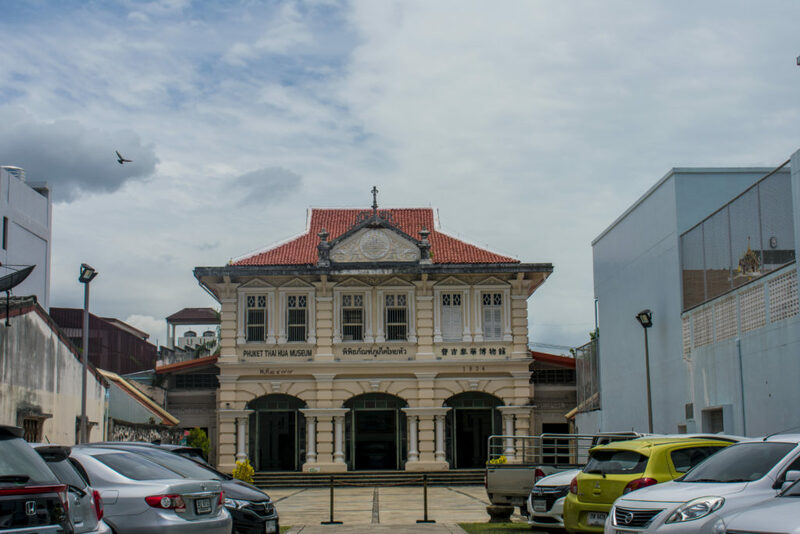 It used to be the Chartered Bank but now it is a museum showcasing the artifacts about the Baba culture. 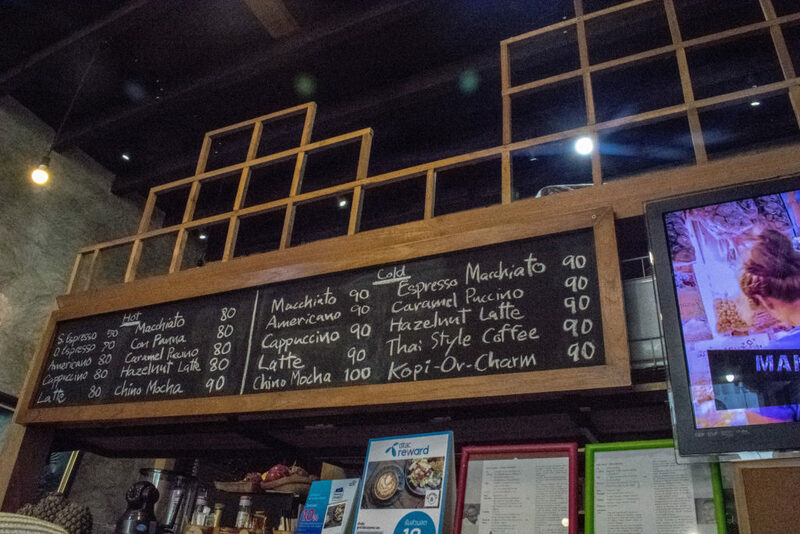 If you are a ultimate coffee lover, I would surely recommend this cafe! 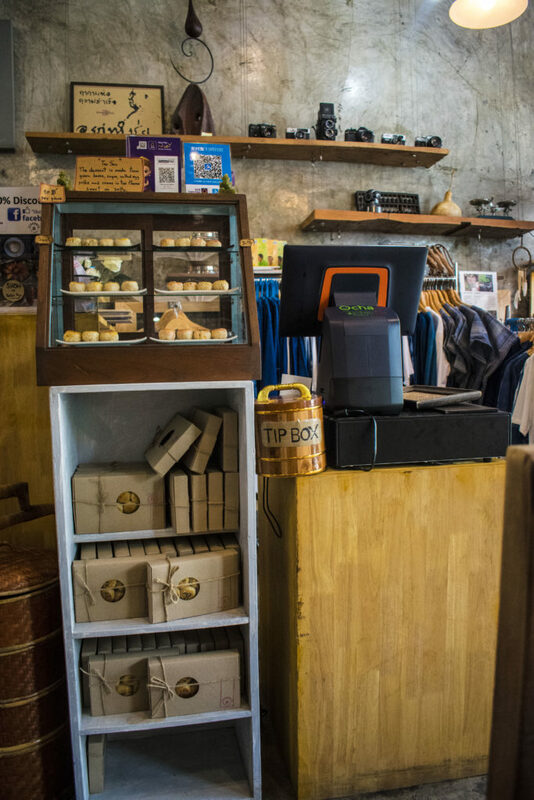 It has one of the best coffee in Phuket. 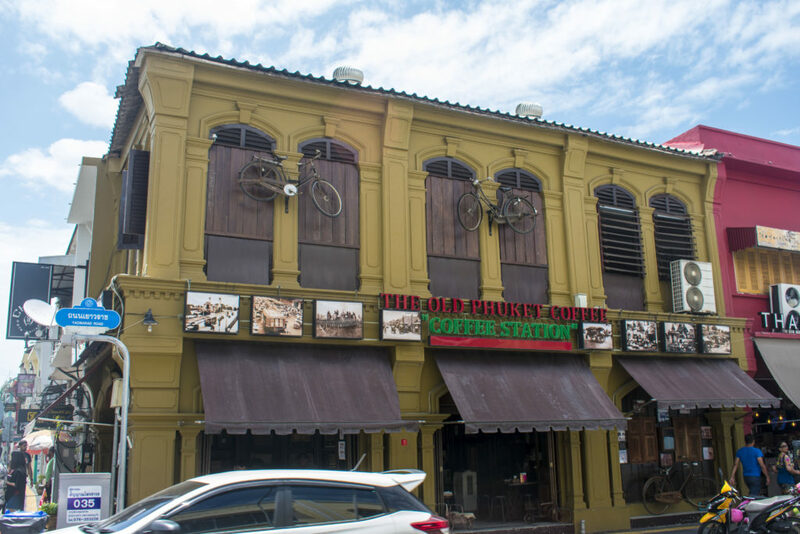 It is located at Thalang Road near the Thai Hua Museum. 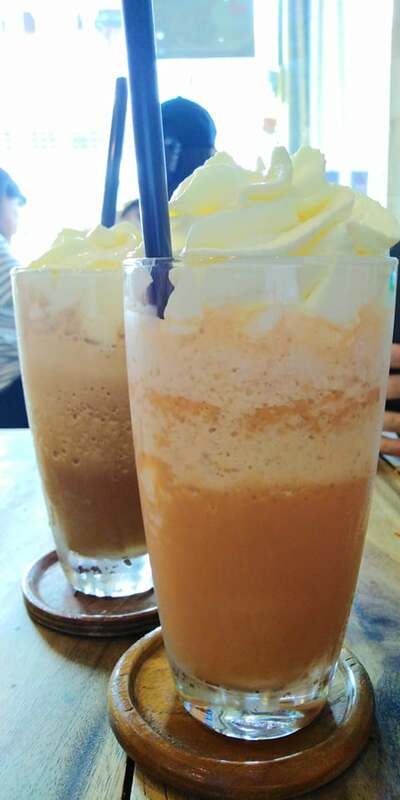 We ordered the Thai Ice Tea Blended and Mocha Ice Blended. 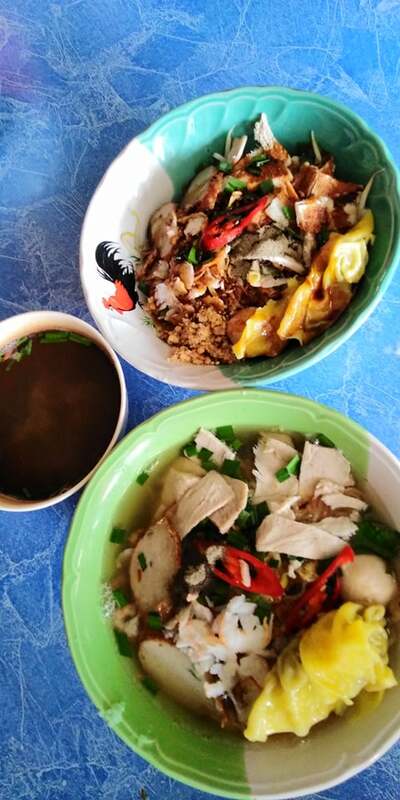 This hawker shop is located at Yaowarat Road. I recommend trying the Phuket style satay, popiah and their famous shaved ice, Oh Ew. 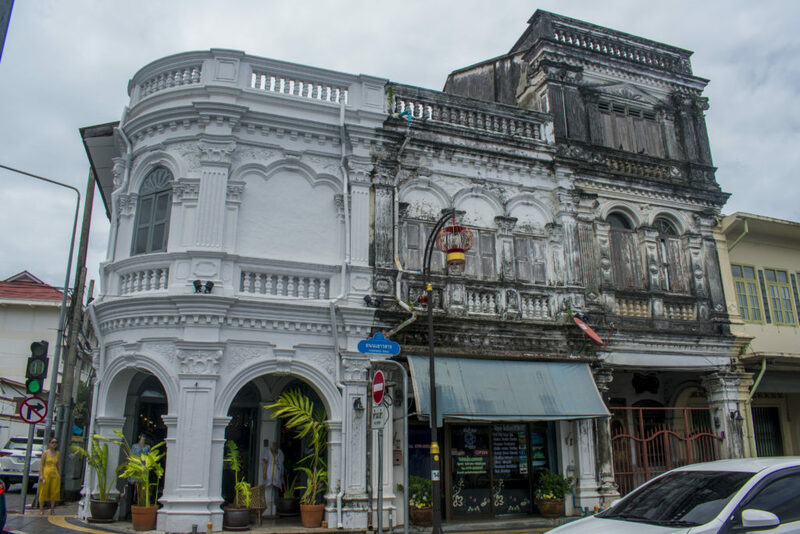 This hawker stall is famous for their Thai style Hokkien noodles and it is located at Talat Nuea. We ordered the dry and soup version and both tasted delicious. 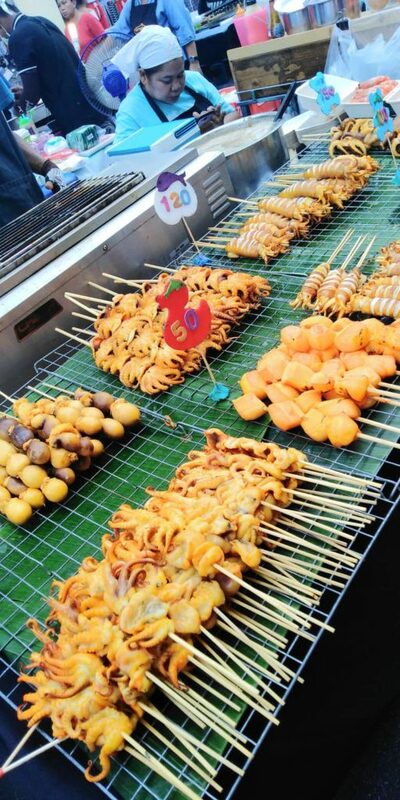 The best part is the night market located along the Thalang Road. 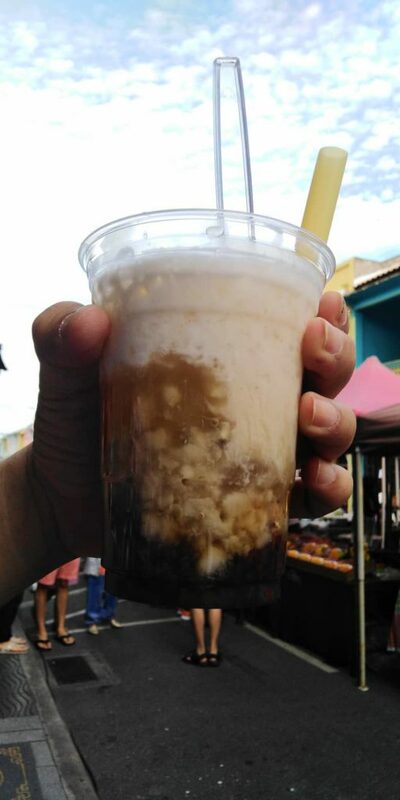 It spreads from the start to the end of the road with various Thai street food & drinks. We walked to every stall and bought some food. We ate them while walking. 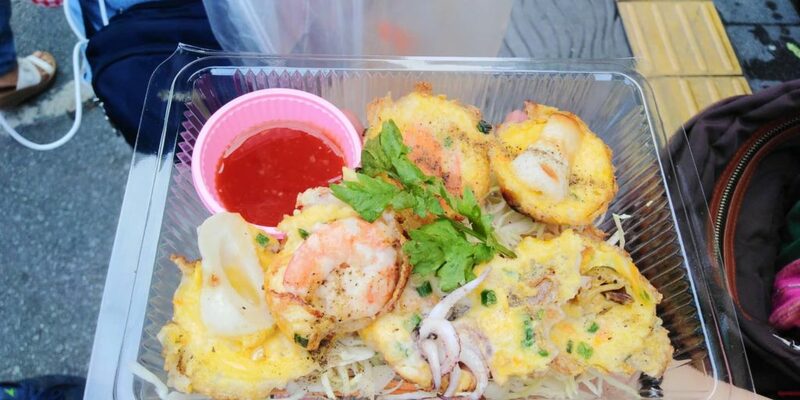 This is the mini seafood pancake. If I can recall, there was prawns, scallops and squid inside. 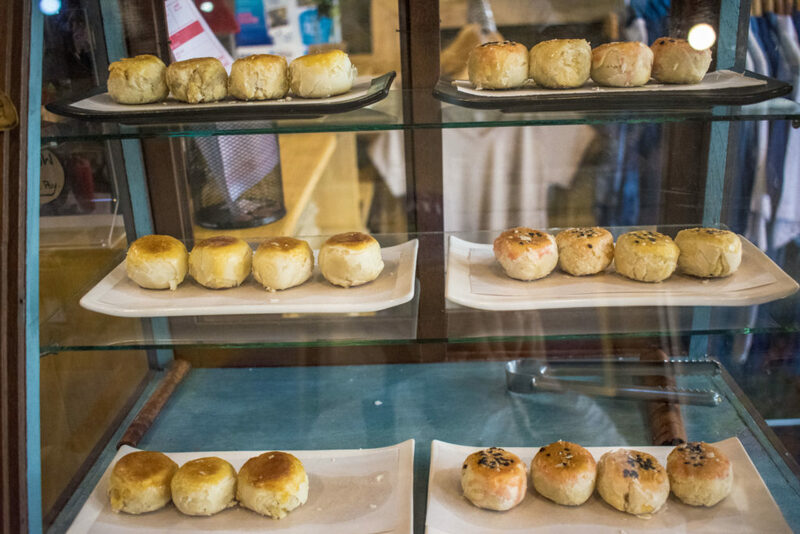 It is best to eat them with the Thai chili sauce. 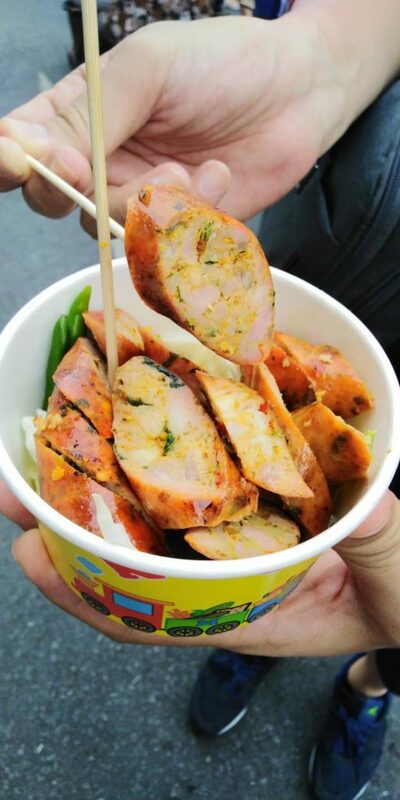 These are the Thai sausages. Be careful if you can’t handle the spicy food because it is really spicy and burns your tongue! Here are various grilled squid with different shapes and sizes to choose from and topped with chili sauce. And finally a mango blended with several mixture of ingredients inside to cool down our burning tongues.